Every winter the Government sets out the annual funding for higher education in a letter to HEFCE. This letter outlines the funds that are available for allocation, alongside any government priorities. One of the priorities in the latest letter is that the sector makes greater progress in delivering efficiencies, as “students will rightly expect value for the fees they pay”. A question arising from this is what do students define as value for money? An insight is provided by a research project led by Dr Camille Kandiko from King’s College London. The project aimed to explore the views of students entering higher education in the UK in 2012-13, and to investigate their perceptions and expectations about the quality of their learning experience and the academic standards of their chosen programmes of study. The primary way students referenced issues of quality and value in their degree was through contact time. The resources the institution offered and what additional costs students faced were summarised as ‘what do you get for what you pay’. The reputational value of a degree, their subject and that of the institution. GPA: An alternative to degree classifications? It is well recognised that there are limitations and issues in the use of the UK honours degree classification system (e.g. current grade classifications do not provide sufficient information to distinguish between graduates). The adoption of a single GPA system, as commonly used in many countries, could provide key benefits including a finer granularity of detail in a summative representation of student achievement than the current classification system, and helping to further engage students in their course of study. raise awareness and enhance understanding across and beyond the higher education sector of the issues relating to the potential adoption of GPA as a cumulative and summative measure of student achievement, ‘in tandem’ with, or as an alternative to, the honours degree classification system. operational issues relating to the reporting of student results and dual running of GPA alongside degree classification. Many Universities across the world are strengthening their class attendance policies. In the UK it is a legal requirement to monitor the ‘engagement’ of some types of international students, but many institutions have also extended this monitoring to all types of students. preparation for expectations associated with workplace and professional practice. Macfarlane argues that judging whether an educational experience has been ‘successful’ or not has little to do with attendance records. Rather, in a world of learning outcomes, it is about whether a student succeeds in achieving good grades and an intrinsically worthwhile educational experience. While acknowledging the evidence that there is a positive correlation between attendance and achievement, Macfarlane argues that institutions need to think through the wider implications of implementing attendance monitoring procedures and the effect they can have on the culture of learning at university. He claims that attendance policies promote presenteeism as part of the discourse of learnerism. Such rules, it is claimed, further infantilise students rather than developing their capacity to make informed choices as adults. Barriers to part-time learning in the new HE landscape. Proposals can be up to a maximum of £20,000 and the HEA expected to fund five projects in total. The deadline for the proposals is 10 January 2014 and all work must be completed by 31st March 2015. 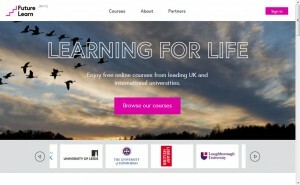 Futurelearn has had widespread coverage in the media today as the first set of courses is made available for enrolment – and Loughborough is part of it. Find out more over on the E-learning Blog at https://blog.lboro.ac.uk/elearning/?p=2565 . Which?/HEPI, "The Student Academic Experience Survey"
Which? has partnered with the Higher Education Policy Institute (HEPI) to conduct “The Student Academic Experience Survey”, the findings from which were released last month. In addition to a Which? report that goes into some depth regarding a range of issues (including contact time, types of contact, feedback, attendance, private study, etc. ), there is also a HEPI summary available that concentrates on ‘Contact with academic staff’, ‘Total Study Time’, and ‘Satisfaction’. Further information is available via the HEPI website. The third piece in this series – this time under the heading “Raising awareness of best-practice pedagogy” – has recently been published by the Times Higher Education. Once more, Graham Gibbs has presented us with another insightful and accessible article, this time asking what study skills consist of and whether they can be learned by students. His conclusions are particularly interesting: “Skills have to serve the purposes associated with these evolving concep­tions of knowledge and of learning: without appropriate ­purposes, the skills can be worse than useless”.